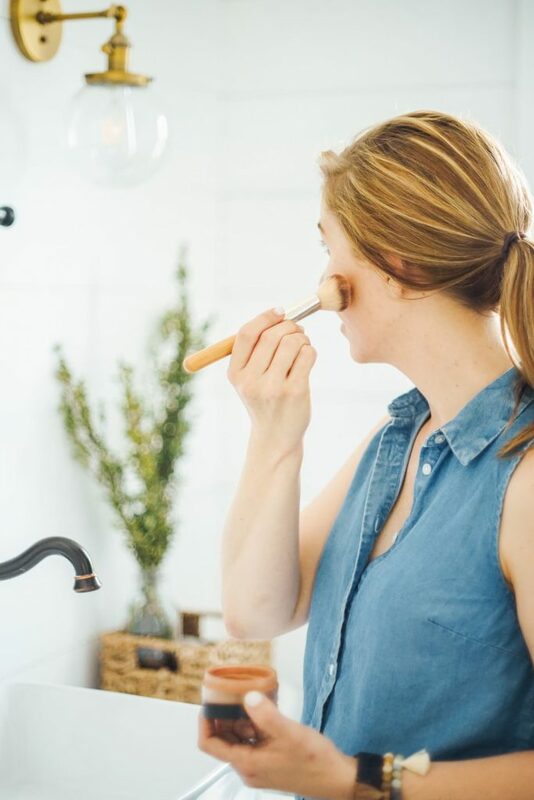 Over the past few years, as I turn to non-toxic skincare products, I’ve learned that there are a number of simple and natural ways to wash the face. 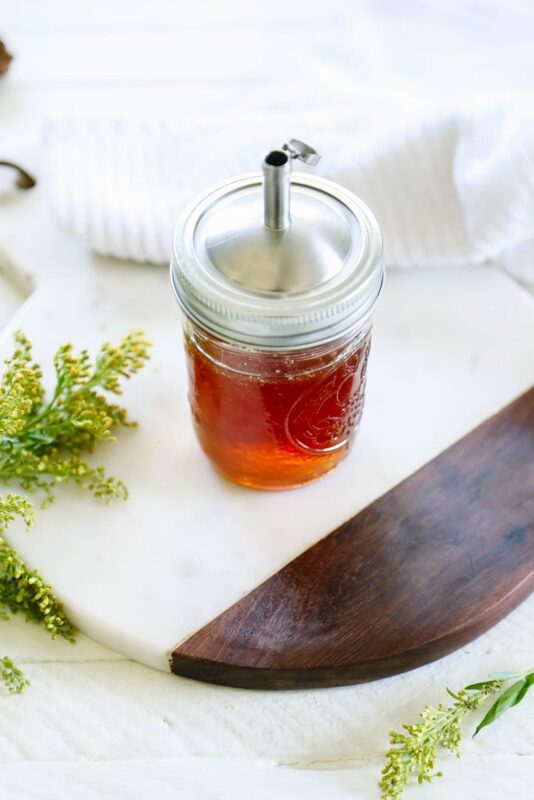 If you’re looking for a budget-friendly approach to natural wellness, or just love making products, today’s post is for you. Over the years, I’ve used every single face wash featured in today’s post. First, I started with oil cleansing, then I moved on to a honey and castile soap face wash. Honey and oil are definitely my skin’s favorite ingredients, so, last year, I started using a honey and aloe cleanser. Just recently, I started adding cleansing grains to my face wash routine. I keep my face wash routine simple. I only use a face wash at night to wash away the dirt, oils, and makeup that come in contact with my skin throughout the day. 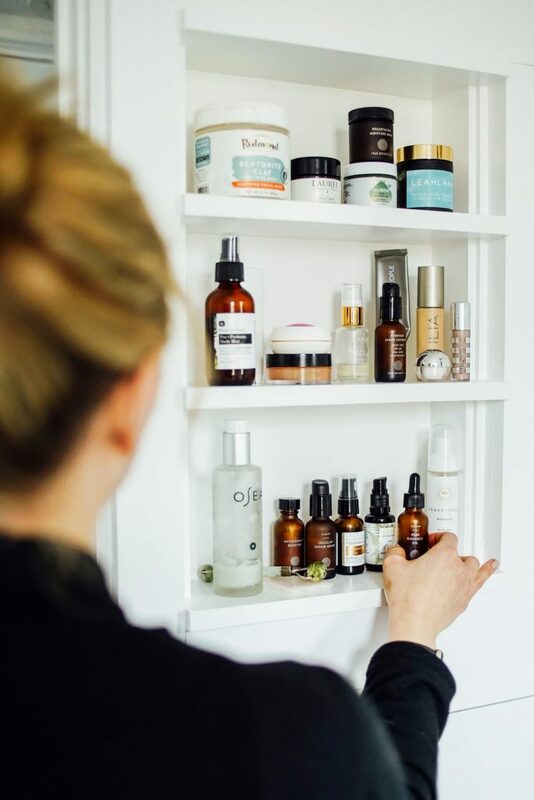 When you make skincare products at home, you can experiment with what works best for you. And that’s why this post offers a few different face wash options, all of which are made with similar nourishing ingredients. This soapy face wash provides the suds that many folks desire in a face or body wash thanks to castile soap. The castile soap is paired with honey, a nourishing oil, and a bit of distilled water. The end result is a soapy cleanser that’s gentle on the skin and tough on dirt. If you’re looking for a cleanser that’s similar to a soap-based, store-bought product, this is a good option. For some folks, castile soap may be too drying. This cleanser is very different than the face wash recipe since it doesn’t rely on any soap. No soap means no suds. This cleanser is great for my sensitive skin because it’s incredibly gentle, but still washes away unwanted dirt and oils. This cleanser is made with only three ingredients: honey, aloe vera, and a nourishing oil. Honey, the active ingredient in this face wash, is naturally rich in antibacterial and probiotic properties. Honey is also gentle on sensitive skin, but tough enough to remove dirt and other impurities. This is my top recommendation for a homemade face wash. I absolutely love this stuff. But I know that everyone is different, and some folks don’t like the idea of a sticky cleanser. If the sticky consistency and lack of suds doesn’t bother you, then I highly recommend this recipe. Cleansing grains are a very new-to-me product. The grains are made from blended oats, herbs, and clay. The final product is a 3-in-1 style cleanser that may be used as a daily face wash, mask, or scrub. 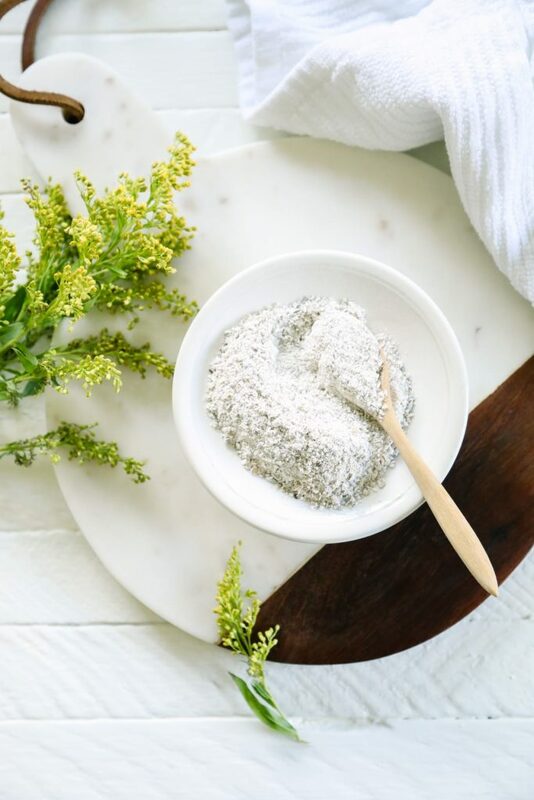 Cleansing grains are also great to use for manual exfoliation. After using the grains, your skin should feel clean and smooth. The beauty of this face wash is that it doesn’t contain any water or ingredients that could reduce the shelf-life of the product. This means that you can make a batch of cleansing grains, and store them in your medicine cabinet for a long time. Yes, there’s a bit more work involved each night, since you’ll need to keep a small bowl and mixing spoon in your bathroom to mix the grains with a liquid. If you’re looking for a gentle cleanser that also provides exfoliation, without being sticky (hello, honey), this is a good option. I also think this face wash would be perfect for someone who travels, since the grains may be stored in a baggie. The first three face wash options (above) are my top picks, but they aren’t the only face wash options in the Live Simply archives. Let’s talk about two more options. Oil cleansing was all the rage a few years ago. This face wash only relies on one ingredient: nourishing oil. I understand cleaning your face with oil feels counterintuitive. Trust me, I get it. Here’s the important fact to remember: oil dissolves oil. Applying oil to the skin washes away dirty (bad) oils, and replenishes the beneficial ones. There’s absolutely nothing wrong with this “face wash,” it just wasn’t for me. I used the oil cleansing method for a few months, but never felt like my skin was super clean. Some people absolutely love this face wash method, and others don’t. This face wash option was created to be a replacement for the travel-friendly facial wipes sold in stores. Since this face wash was shared to be more of a use-it-when-you-need-something-for-travel option, I’m listing it here as an “honorable mention.” Some readers use these wipes as a nightly face wash, so if you’re looking for something that’s more of a pre-moistened wipe/cloth, this face wash may be a good option. Want more non-toxic and natural face cleanser/ face wash options? This post is dedicated to exactly that. 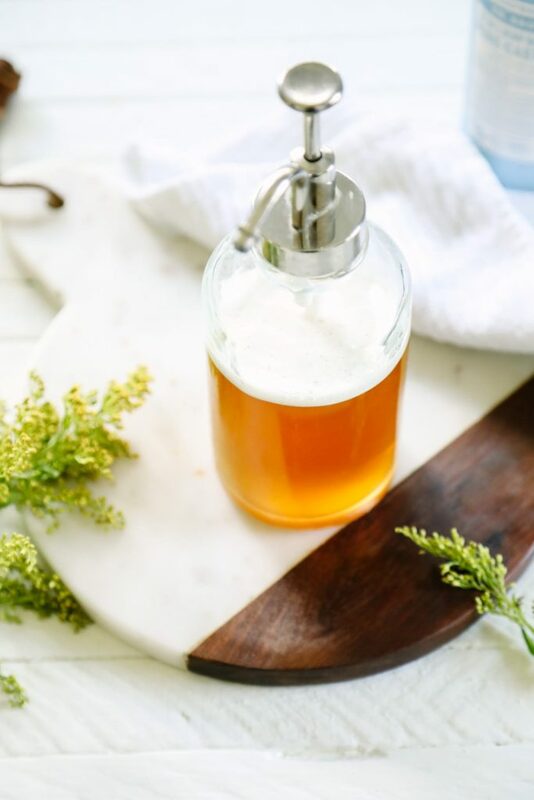 I share my favorite store-bought and homemade face cleanser / face wash options, what to look for in a face wash, and more. 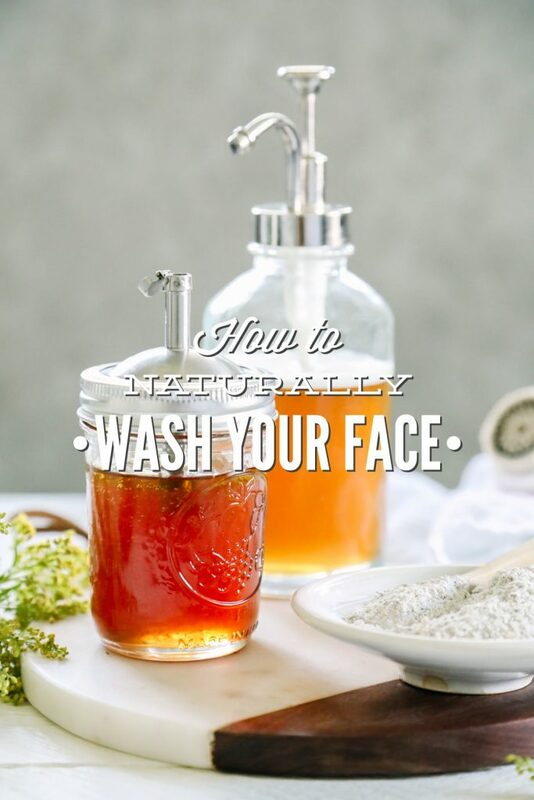 There are so many wonderful ways to naturally wash and care for your face. Do you have a favorite face wash? I would love to hear about it. Hey Trish, I recently picked it up at Williams Sonoma. It’s for salad dressing. Hey Mary Kelly, If you click on the titles (highlighted in blue) the links will take you to each individual recipe. There you’ll find full amounts and instructions for each face wash.
Hi Kristin, I love your blog! In one of the photos it showed you with one of the face washes in one hand and a Clarisonic face brush in the other. I’ve been using the oil cleansing method for a couple of years now, but I am getting a Clarisonic this year for Christmas. I’m curious if you’ve tried any of these recipes with your Clarisonic and if they worked well? Thanks! Hey Holly, That’s so exciting. I absolutely love my Clarisonic Mia. It’s been the best skin-care tool that I’ve ever purchased. I use it with my aloe and honey cleanser at night. It will work with just about any face wash/cleanser. I just use water every morning and It is really helpful.